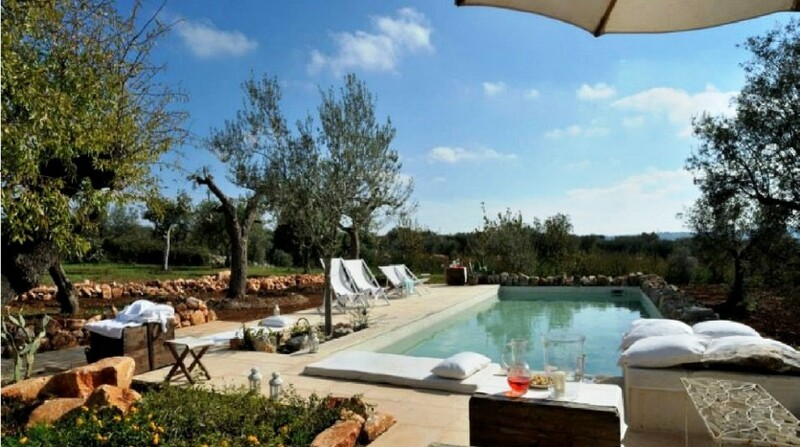 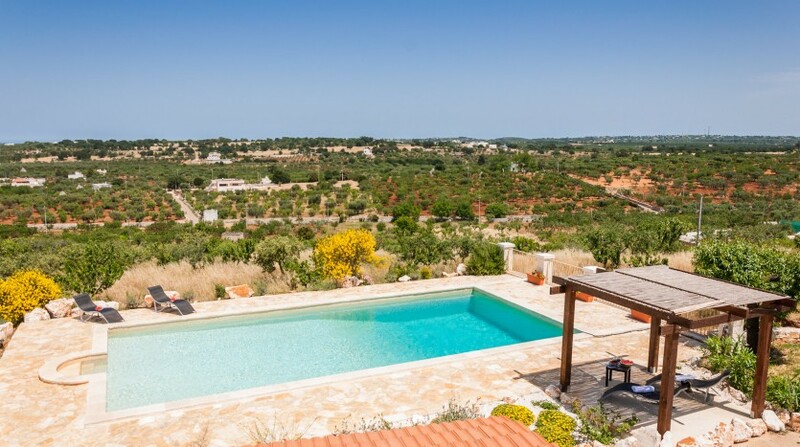 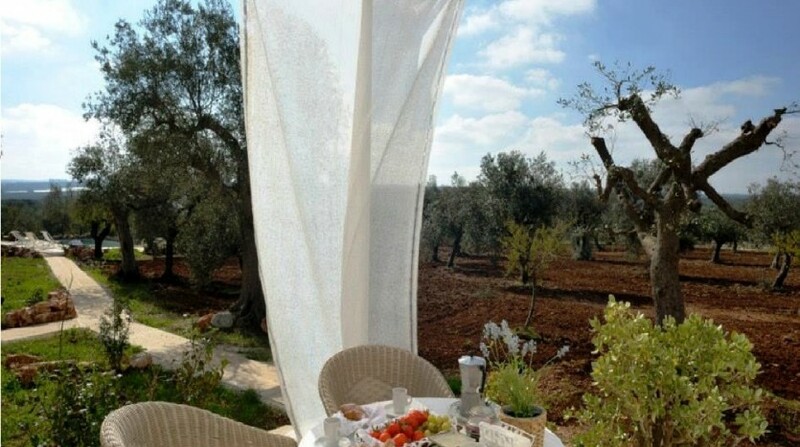 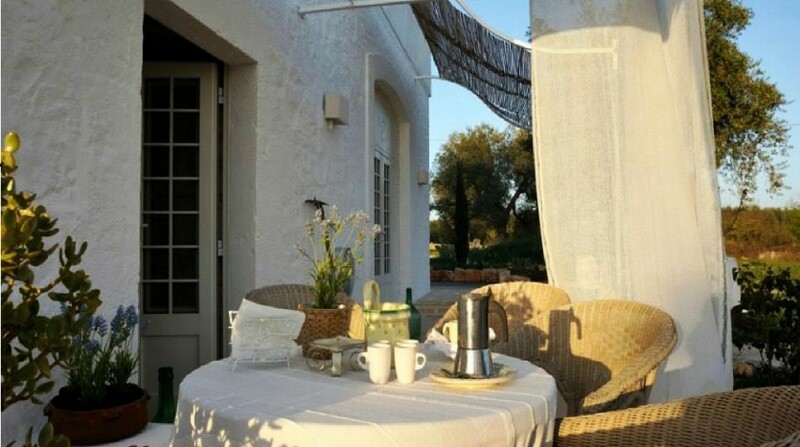 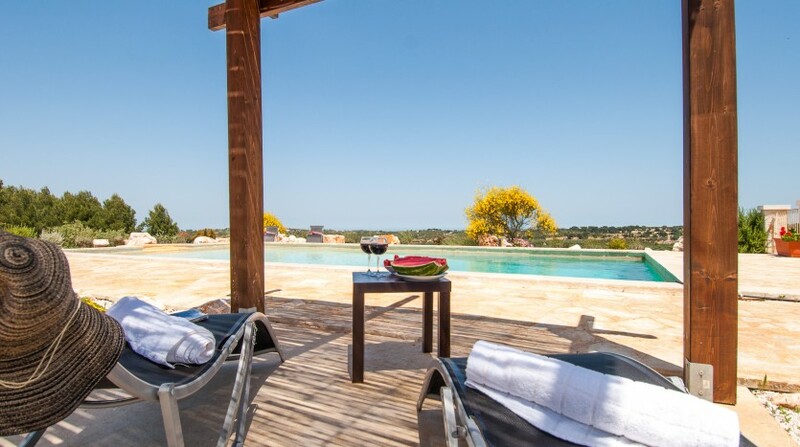 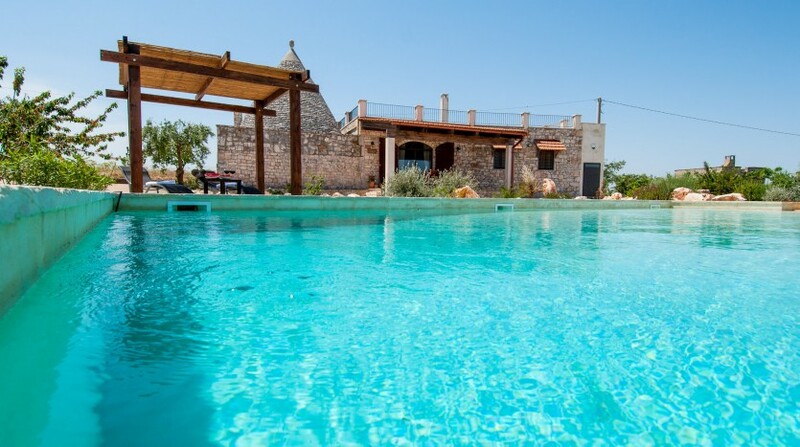 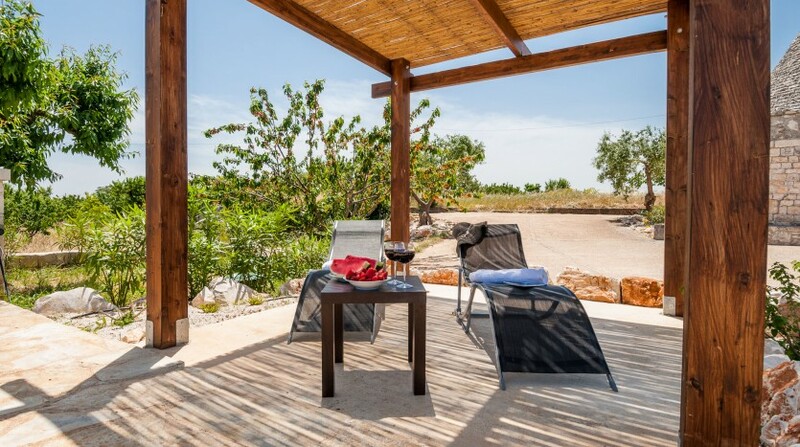 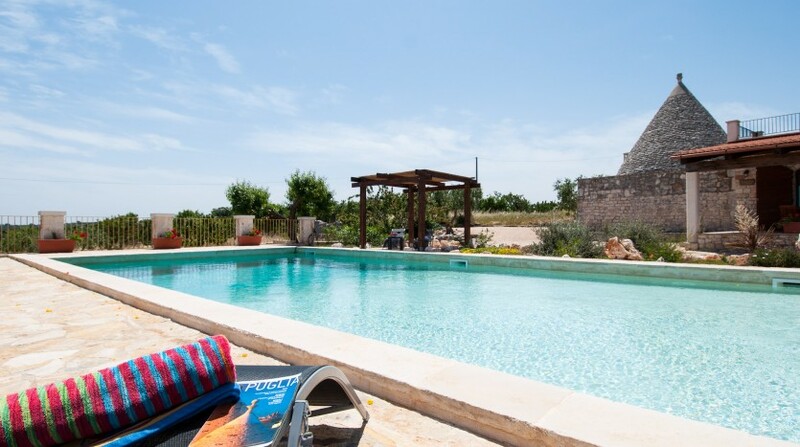 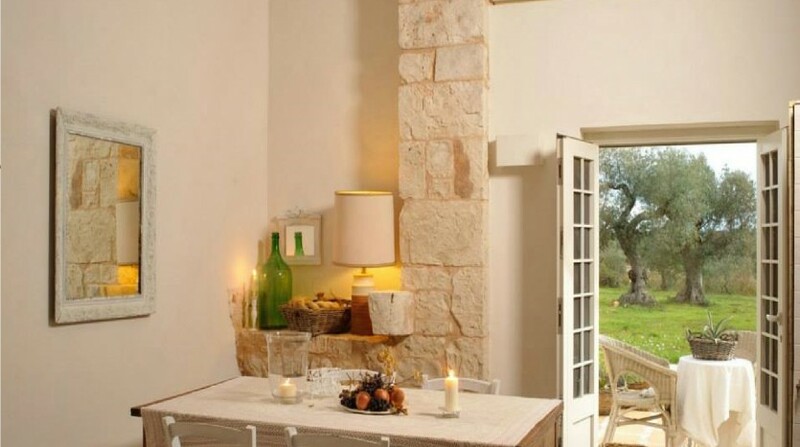 The villa Montefieno is an idyllic in the typical natural landscape of Puglia, located with ancient olive groves, cherry trees and Mediterranean vegetation, in order to enjoy the peace and tranquility in one of the most beautiful landscapes of Italy in the hills of the Murgia valley. 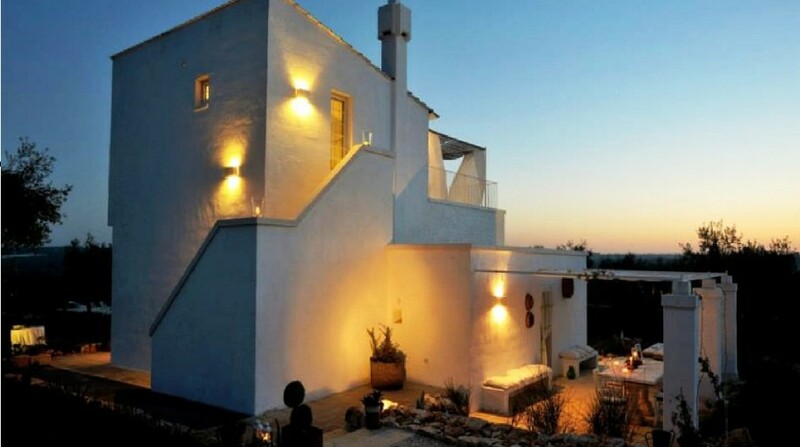 The villa, for up to 8 people, divided in two buildings, spread over 250 sqm of living space. 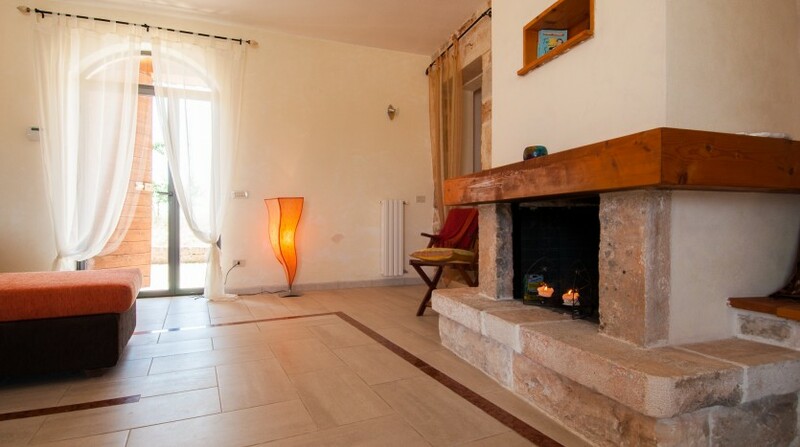 The first building (sleeps 6) has 3 bedrooms all designed in local stone and typical elements of the region, 2 kitchens, 3 bathrooms / WC with shower and 3 outdoor terraces. 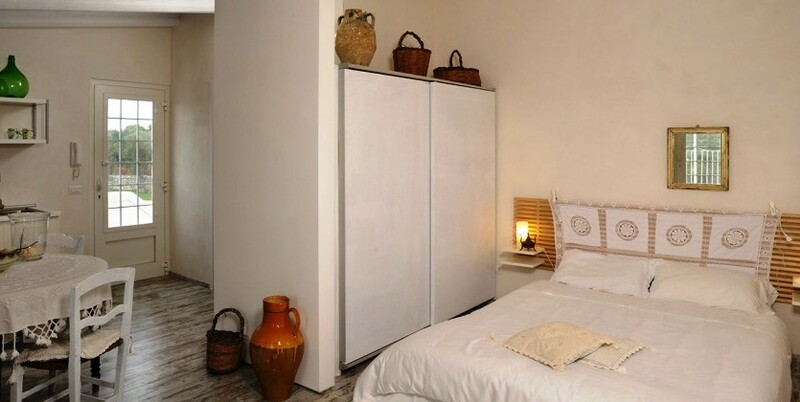 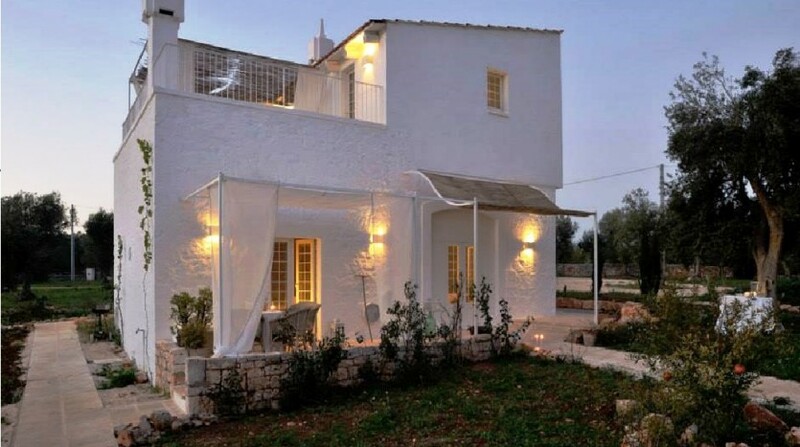 The second building (sleeps 2) is 120 sqm and has a bedroom, a bathroom / WC with shower and an outdoor area. 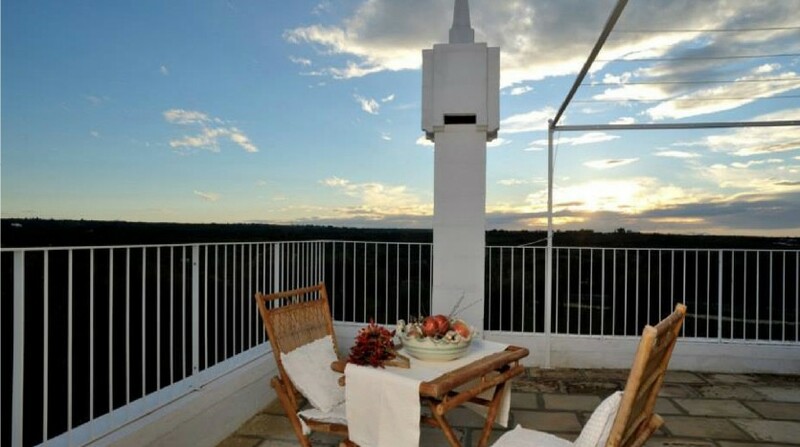 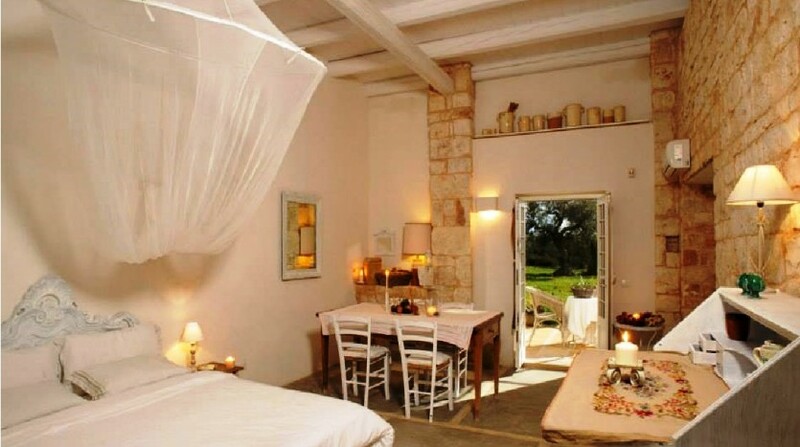 Each room has a beautiful view of the countryside. 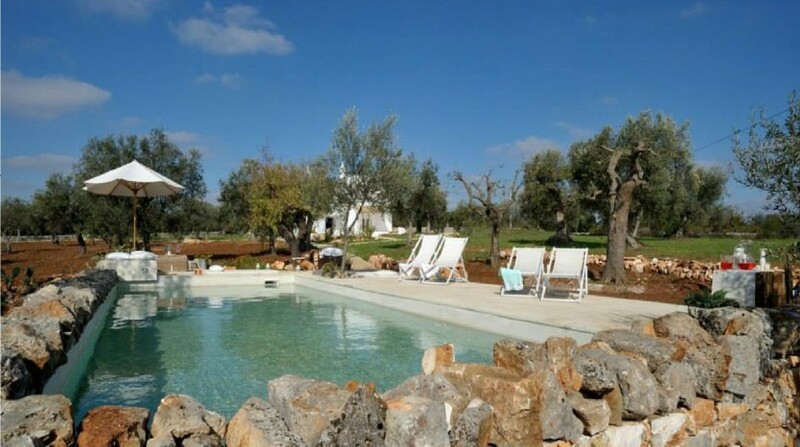 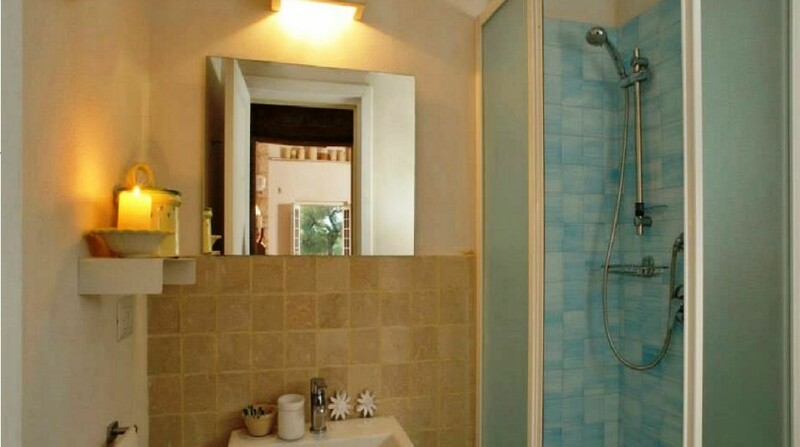 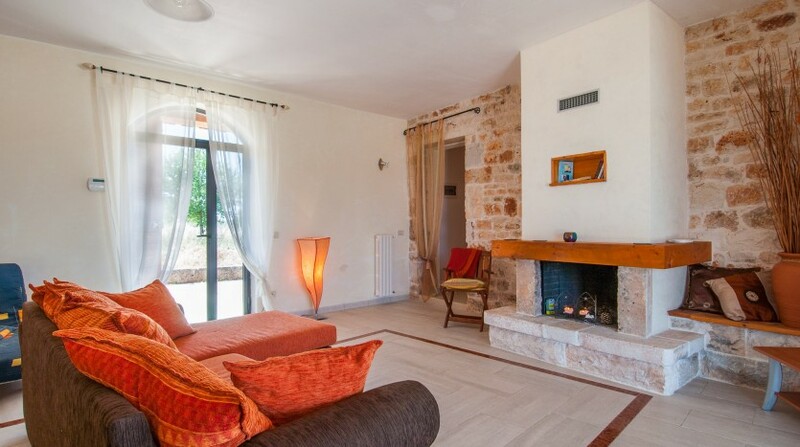 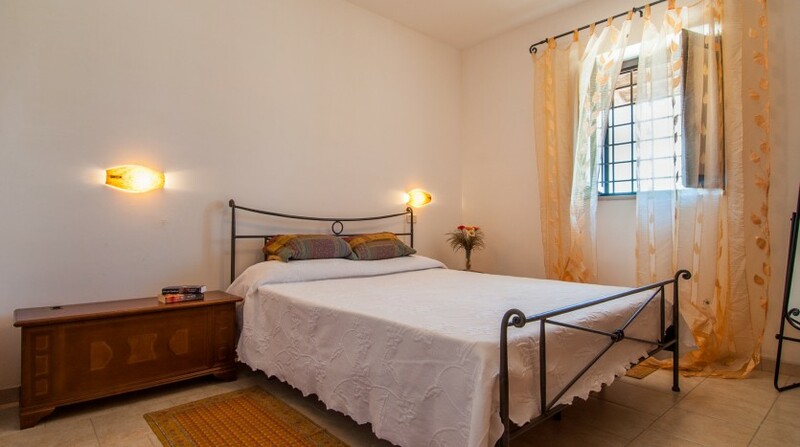 Tha villa has a large private pool.The villa is rented from 11 April to 31st October. 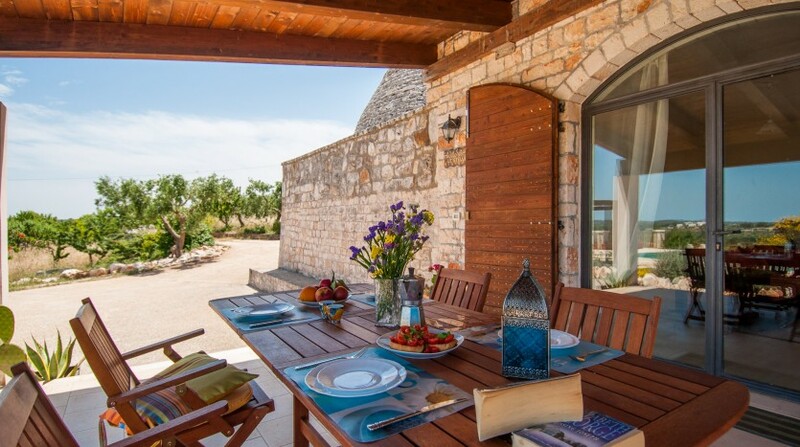 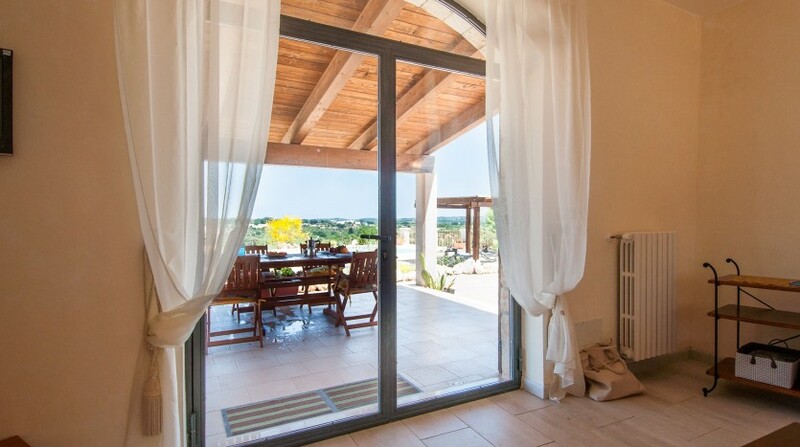 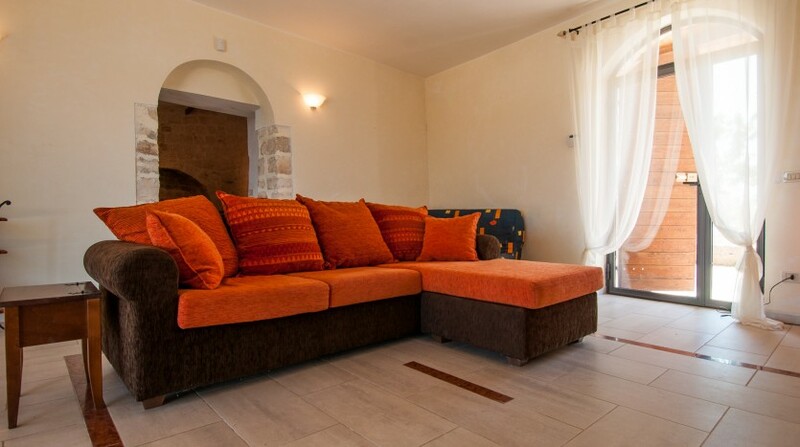 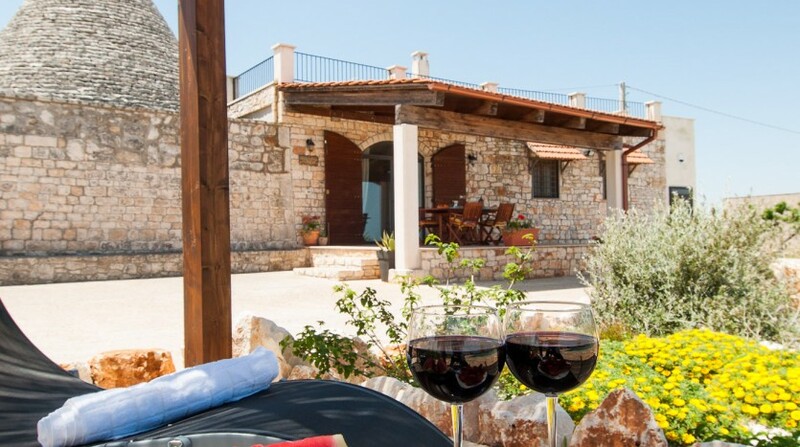 In addition to renting this beautiful villa, the owners dedicated to the biological production of extra virgin olive oil that can also be purchased in the azienda. 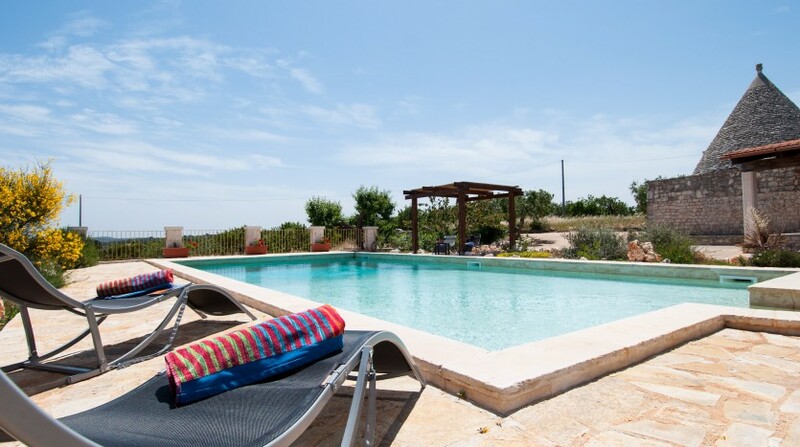 The hills of the Murgia valley, one of the most beautiful landscapes of Italy. 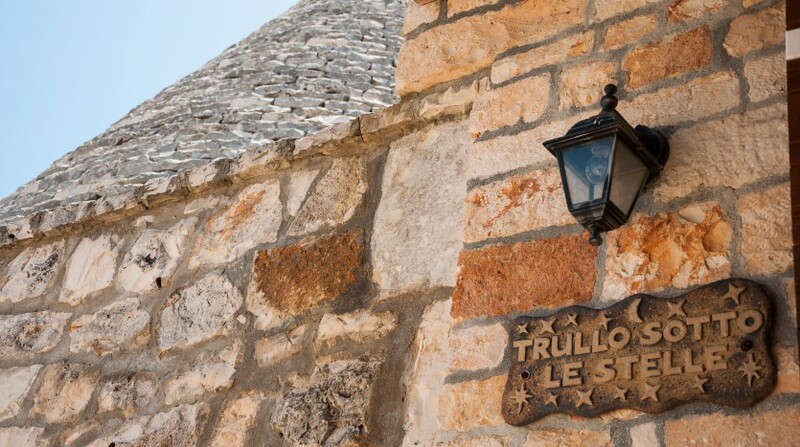 Thousands of years old history and a culinary journey into the secret cuisine of Puglia. 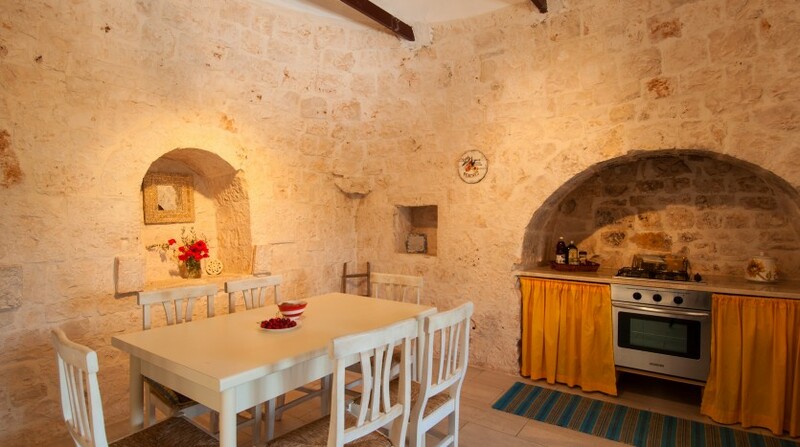 We are in the triangle of the pretty and historic cities of Castellana Grotte, Conversano and Polignano a Mare. 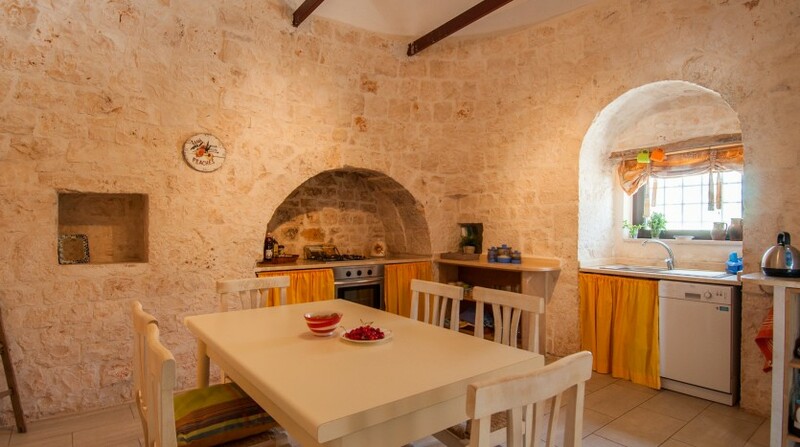 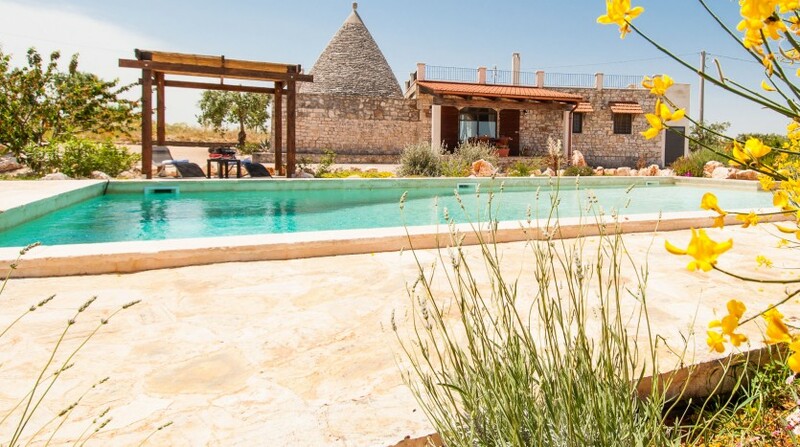 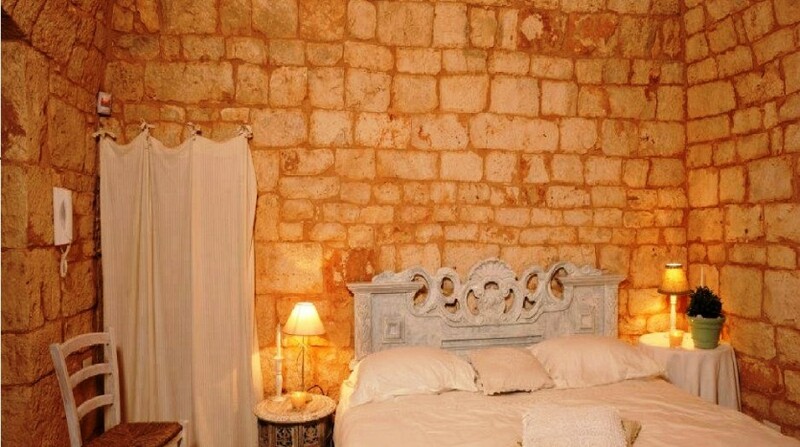 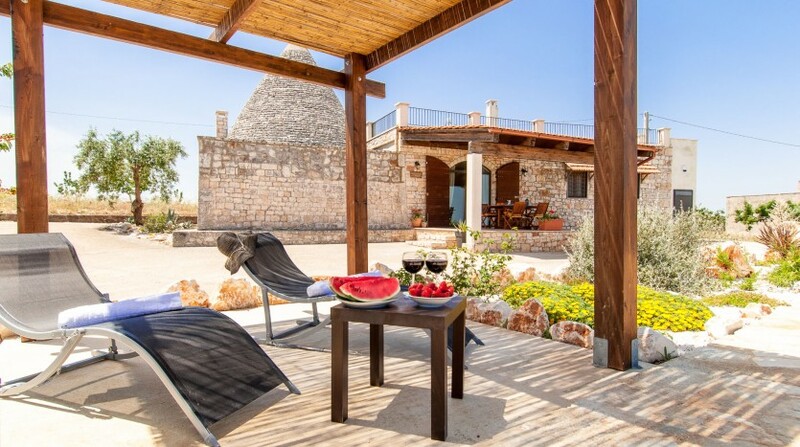 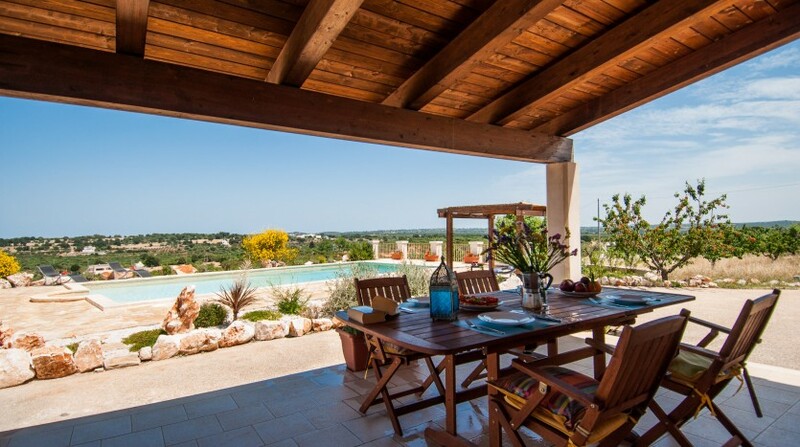 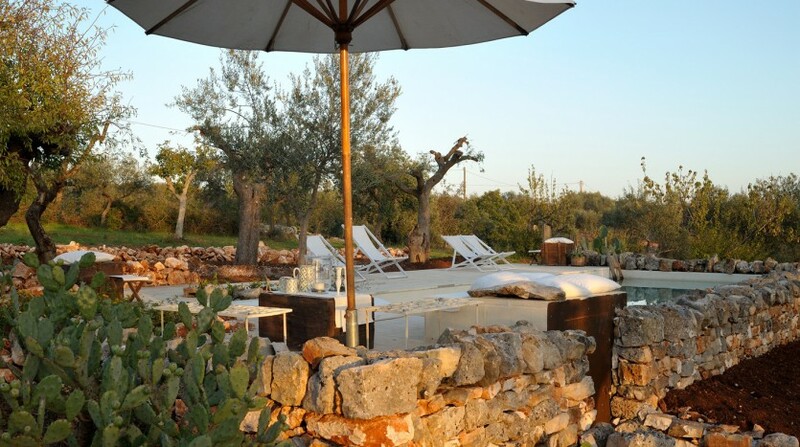 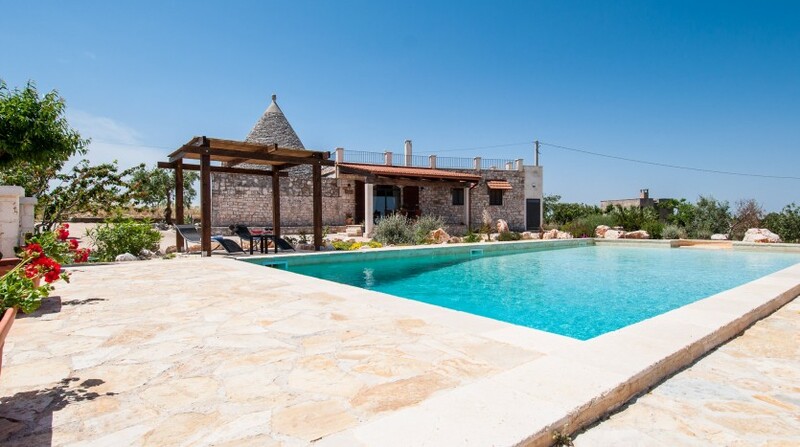 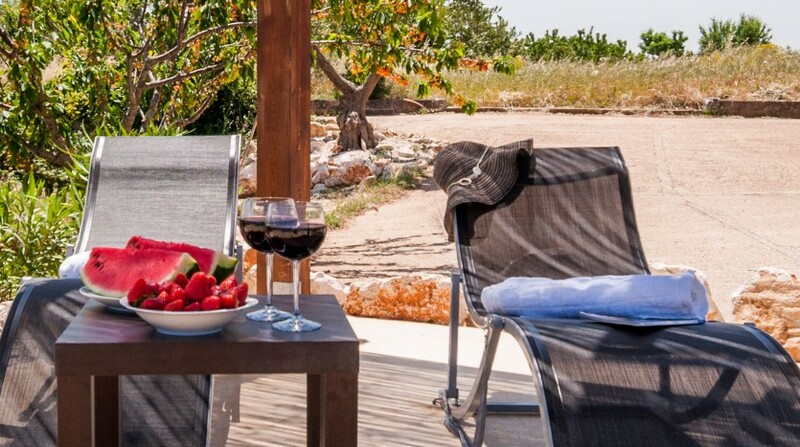 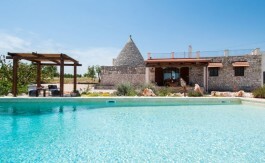 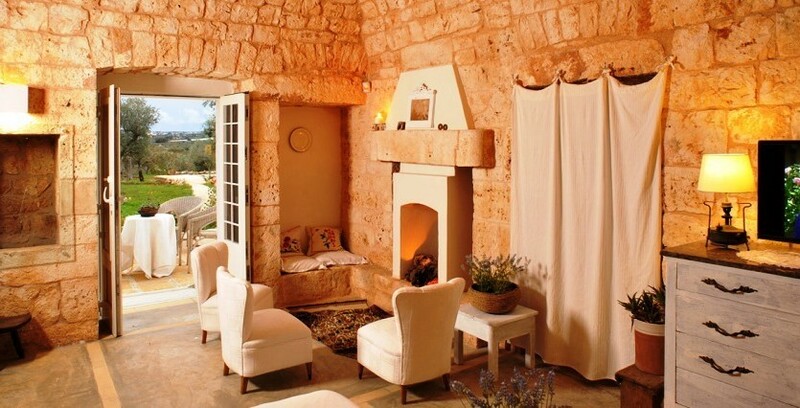 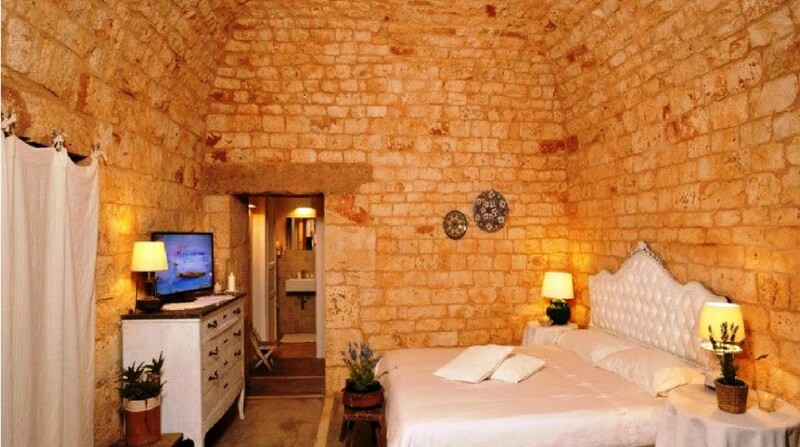 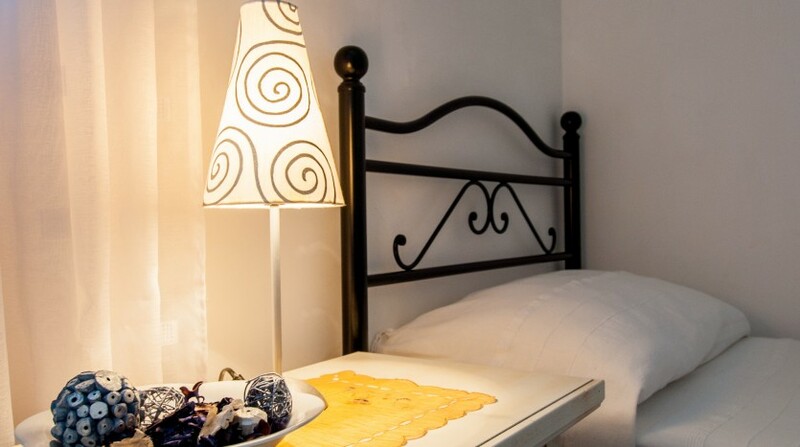 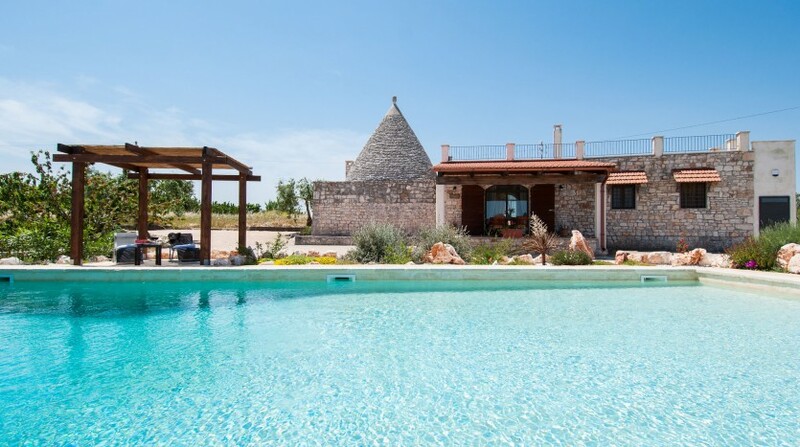 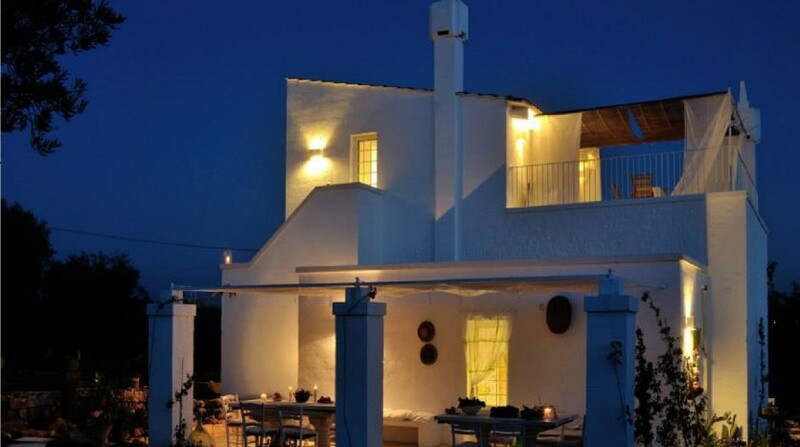 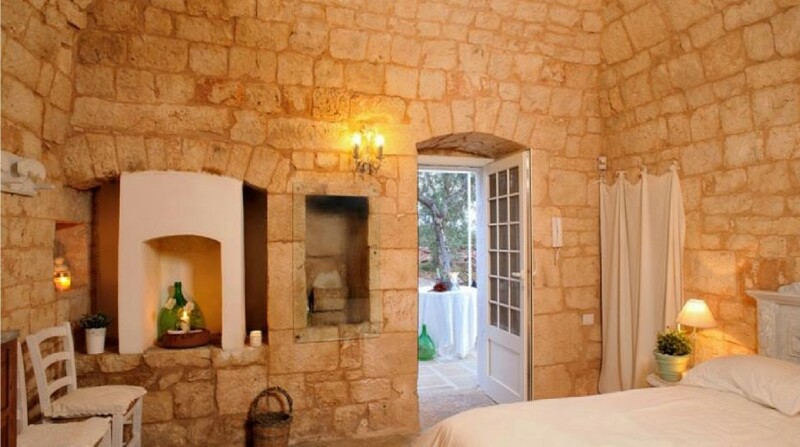 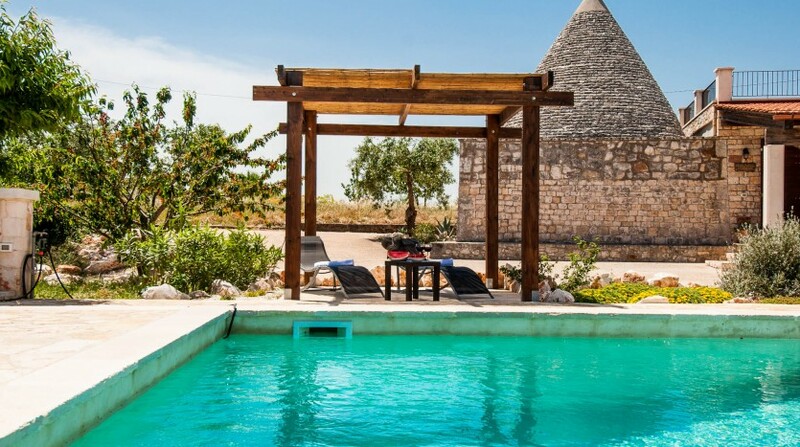 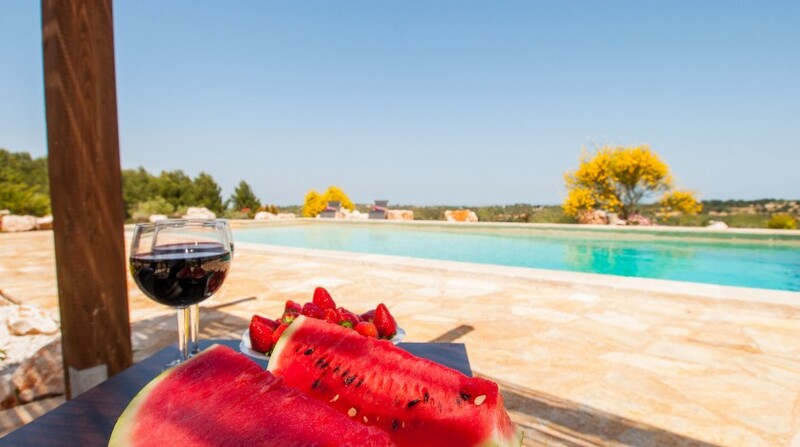 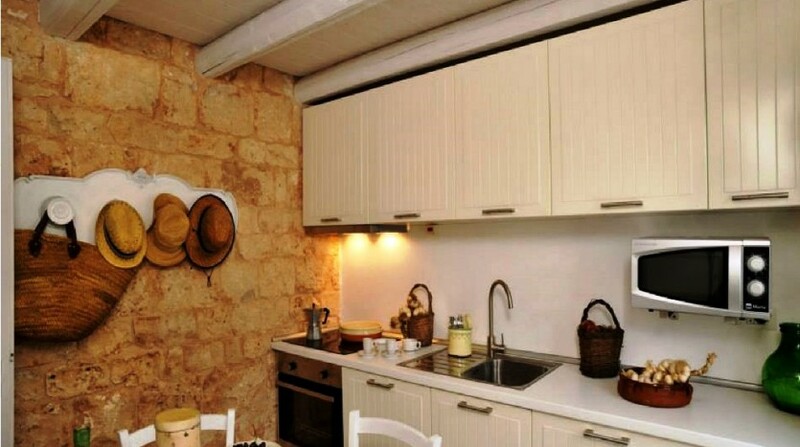 Nearby, the trulli of Alberobello, the beautiful beaches of Monopoli and the Valle d’Itria. 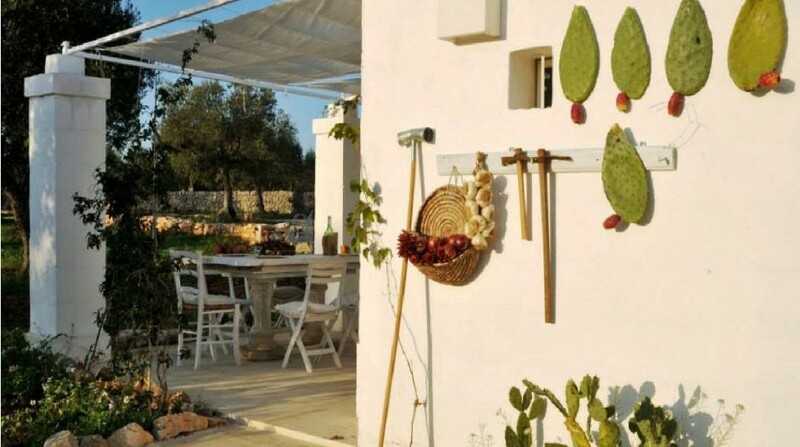 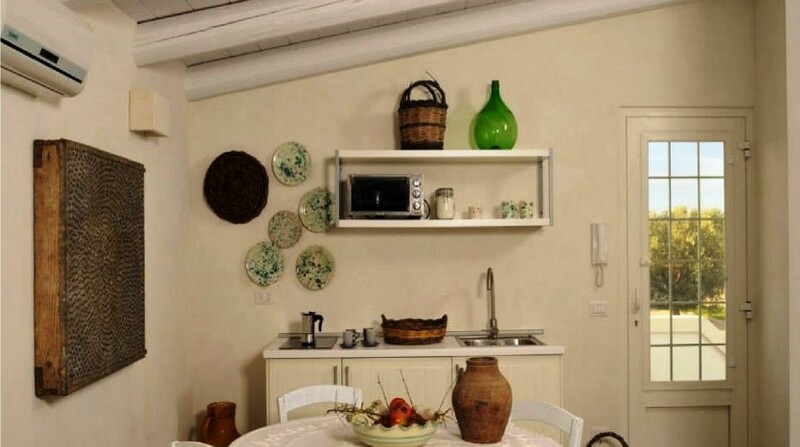 Also you can find cooking classes and discover centuries-old traditions of the cuisine of Puglia. 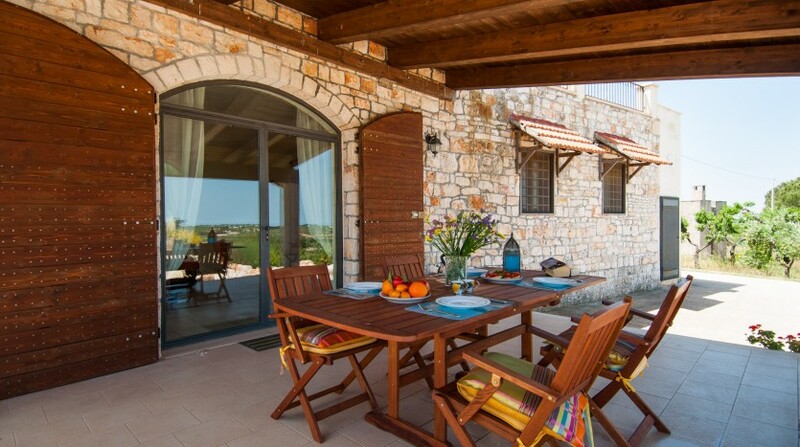 You can enjoy also trekking and horseback riding in the beautiful countryside. 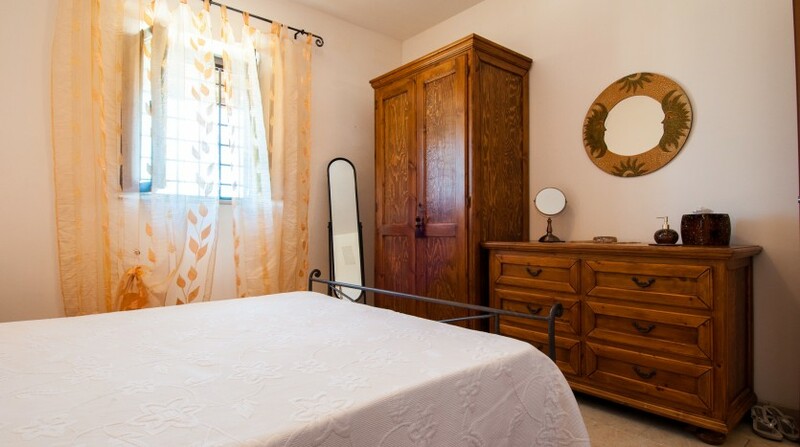 Bed linen, towels, gas, water, electricity, cleaning, Wi-Fi, cot and highchair.